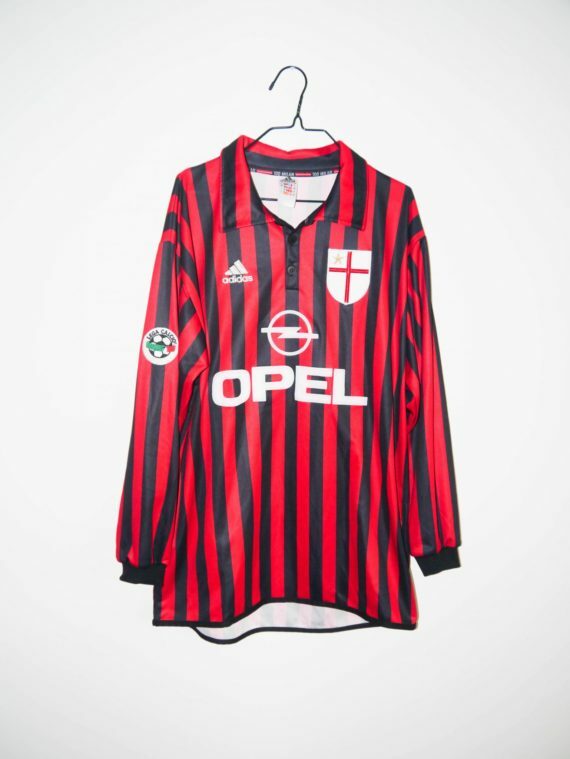 Beautiful and rare AC Milan centenary shirt, worn only a few matches during the 1999/00 season to celebrate the 100 years of the club. Original thick nameset Baggio #18 , although the player left the club 2 seasons before. 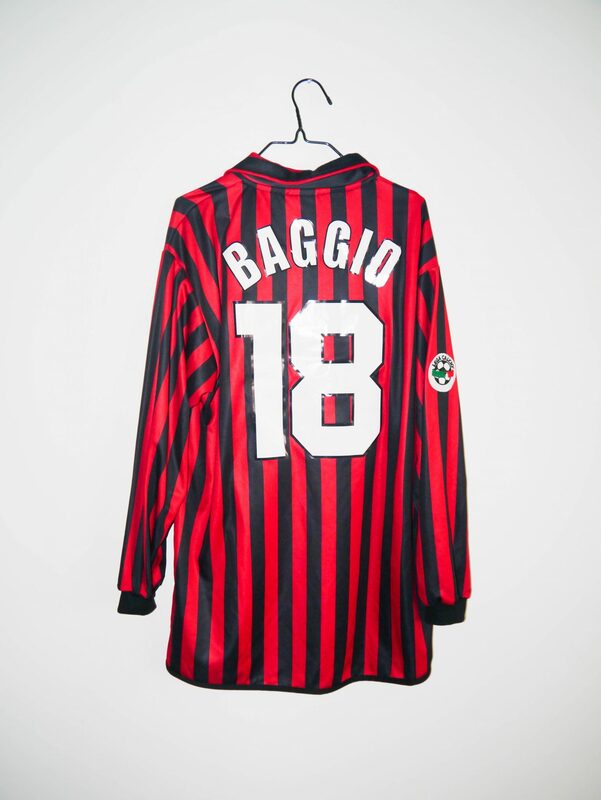 Shirt’s in excellent condition.